Prepare for answers to the interview questions below and practice your responses with a friend / family member. Practicing interview questions helps you be more confident and relaxed when it really counts. Don’t be mistaken, each interview is different but most will ask the same or similar interview questions. More importantly, there is no right or wrong answer to interview questions, so you can use your rehearsed answers to which ever interview questions they may be relevant. Q) Why do you want this job? The interviewer wants to know that you have researched the company and know what they do. Focus on what you can do for them. Show knowledge on areas such as; what the organisations products or service is- history, image & goal of potential employer- latest turnover figures, awards, facts etc. Good example answer:"Apply4U has a solid reputation for their quality work & results. I’d like to be part of that success and add value to the team." Q) What qualities do you think will be required for this job? Mention transferable skills relevant to the job description advertised.Communication, Leadership, Supervisory, Interpersonal, Problem Solving, Analytical skills. But don’t just list them off, explain from where you have gained these skills and give examples.Good example answer:Communication skills are key, I’ve been successfully dealing with customers now for 3 years at Company A. My consistent top 5 performances, landed me a promotion into a Leadership role, which will help me manage the team you mentioned..."
Q) What can you contribute? Q) Why do you want to work for this company? Q) What do you know about this company? Research the company. Interviewer will ask this question to test your knowledge about the company. (Give them a run-down of their product/services, sales figures, news, company figures. size of company/operations, ethics, goals etc.) Research the company first…Good example answer:"I’ve read that your organisation has 6 offices and plan to open more.” Show you are interested and let a conversation around this topic begin. Q) Tell me about yourself? Q) Why did you leave your last job? Never speak negative about previous employers, co-workers or the organisation. Stay positive and be confident with your answer. Focus on the benefits, opportunities & development.BE CLEAR & PRECISE – Don’t over complicate your reason. 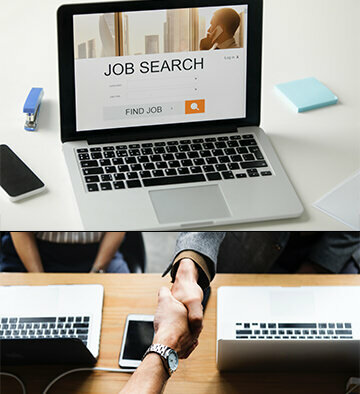 The interviewer just wants to know the honest answer.Your interviewer will want to know:a)what you have done in you previous joba)what your hoping to gain from moving to another company. Q) How ambitious are you? Show your enthusiasm for the job. Short term goal should be in getting the job and long term goal is to progress higher. Don’t give the impression that you are after the interviewer’s job. Q) Why are you looking for in a new job? Stay positive and be confident with your answer.Good example answer:"I have experience bringing new business for high profile companies’. ‘I’m looking for an opportunity to repeat this success or do something else. Talk about your career and accomplishments. Q) Tell me about your last job? Try to relate your previous job experience to the current job description. Don’t lie or exaggerate Interviewer wants to hear detailed answers (e.g. sales skills – examples how you have done the job already)Good example answer:"I spent 3 years in telephone sales, mainly business to business and recently I have looked after a team of 10 working on differing sales types…. Ranging from… I achieved…. Q) What are your key strengths and weaknesses? Q) What were your greatest success / achievement? The interviewer wants to gain an insight into your previous role or role’s. Try to keep your answers focused on your work. Keep discussion to work related issues.A problem you had overcome history, image & goal of potential employer Ideas that were implemented Good example answer:I set up a sales accounting system that reduces costs by 30%I improved sales by 45% throughout Europe & America by restructuring the sales team … Tell them how…. Q) Are you a leader? A leader or team leader generally sets targets and margins and possesses good conversational skills. Interviewer wants to gain in insight to your experience in leading projects or managing people.Good example answer:‘I managed a team of 3 and devised a motivating day once a week every Monday morning to keep everything in order & to increase energy levels. Q) What problems did you encounter in your last job? Q) What are your career goals? My long term goal would be to grow with the company where I continue to learn with added responsibilities and contribute as much value as I can to companies aspirations. Q) How would you describe yourself? My ideas have led me into introducing and implement new procedures such as a new accounting system for the sales department that increased production for the company. I can use these ideas to improve production within the company. Q) How could you improve yourself? Try not to be too negative. Interviewer wants to know that you are always looking to improve yourself. Q) What level of salary are you looking for now? Q) Why do you want job in recruitment? Q) Why do you want job in sales? What is the biggest challenge you have faced so far? Can you act on your own initiative? What do you think of the last company you worked for? Why are you leaving your current employers? What interests you about our product (or service)? What were your greatest success / achievement? Do you How do you handle stressful situations? What have you learnt from your previous job? Why should we hire you over all other candidates? What have you done since the last job?